Get a Free Excellent Self-Help Book in Return for a Honest Review! 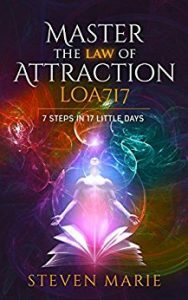 *Law of Attraction: Master the Law of Attraction: 7 steps in 17 little days (How to Manifest Abundance Secret) by Steven Marie. Price: Free. Genre: Self Help Book of the Day, Sponsor, Success, Personal Growth, New Age, Law of Attraction. Rated: 5 stars on 2 Reviews. 133 pages. ASIN: B01N76J0HZ. ISBN: 1520100191. Please Note: Author has made this book free with the hope that if you like the book you will review it. If you have zero intention to review the book please don’t download it. Thank you. Author KibetPosted on November 24, 2017 Categories UncategorizedLeave a comment on Get a Free Excellent Self-Help Book in Return for a Honest Review!